Bullseye, also known as conventional pistol, is a shooting sport in which participants shoot handguns at paper targets at fixed distances and time limits. A number of organizations, including the NRA and Civilian Marksmanship Program in the United States, have established rules and keep records for these sports. Emphasis is on accuracy and precision. The MRGC Pistol Team is one of 9 teams belonging to the South Shore Rifle and Pistol League. These teams include Angletree (Attleboro), Ames (Easton), Braintree, Holbrook, New Bedford, Satucket (E. Bridgewater), Old Colony (Pembroke) and Sharon. During the Winter Season (September to April) each team has 3 matches with each of the other teams. Matches are alternated between home and “away” and are held on Thursday evenings at 8 pm. It’s a good opportunity to see other clubs and meet their members. The host team provides coffee and refreshments so these matches are somewhat of a semi-social event. The course of fire during these matches is the National Rifle Association (NRA) indoor course of fire using 22 cal. pistols. These matches are fired indoors using standard NRA targets at 50 feet. Each match consists of 10 shots “slowfire” at the standard slowfire target with a time limit of 10 minutes, 10 shots “timed fire”, two 5 shot strings with a time limit of 20 seconds per string and 10 shots “rapid fire”, two 5 shot strings with a time limit of 10 seconds per string. Timed and rapid fire use the standard NRA timed and rapid fire target. Each shooter fires 30 shots with a possible high score of 300 points. At the end of the match scores are added and the top 5 scores from each team constitute the score for that match. Similar to "best ball" in golf, a great score can only help our team, a bad score does not hurt the team. This method of scoring allows shooters of all skill levels to participate without feeling they have to be an “expert” to compete. During the Summer Season (June to August) each team shoots against the other teams only once. All the matches are fired at “home” and the scores are sent to the League statistician who compares them with the other team and determines a winner. Season scores and standings can be found on the Competition Results page. During the season the Pistol Team conducts seminars to help both new and old shooters to improve their skills. These seminars are conducted by Greg Derr, a former Olympic shooter and the current National 22 cal. Pistol Champion. In addition to being a top competitor Greg is also an excellent coach and has helped many shooters to improve their skills. For a better understanding, the Team encourages club members to visit during a home match (on Thursday evenings) to see how a match is run and to see what equipment is used. Any type of sight can be used, except laser sights. Many competitors use iron sights, but the recent trend has been towards red dot sights, which many shooters find easier to use. Telescopic sights, while legal, are rare, as magnification is not considered an advantage. Iron sights are usually adjustable Partridge type sights, carefully treated to reduce glare that might impact sight alignment. Have you been putting off buying a rifle because you didn't know what to get? If you have a rifle that you think other people would be interested in trying, please bring it down and in turn you can try something new as well! Bring ammo for your rifle and the club will reimburse you. NOTE: This is the perfect opportunity to determine which gun may fit you best. 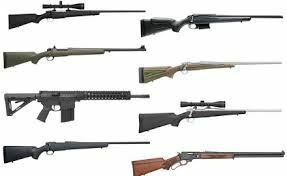 If you do plan to bring a gun, PLEASE CONTACT Dan Antonino daniel.j.antonino@gmail.com to let him know so we can coordinate the selection of guns available.